In April 2010 - not even 18 months ago - I wrote my comments about the then announced acquisition of Palm by Hewlett-Packard. Back then, I was speculating about five possible scenarios and I guess I was wrong. The scenario number 6 has occurred and HP pulled the plug on the Palm devices and probably also on the webOS mobile operating system today. This move doesn't come as a big surprise. Yes, it is unusual for a company with the kind of resources that HP has to give a project that little time to prove itself - particularly a relatively recent $1.2 bln acquisition. But since the launch of it's new webOS based devices just a couple of months ago (in February 2011), it became apparent that they were flopping in the market place. Just earlier this week, it was reported that Best Buy sold less than 10% of the 200,000 Touchpads they ordered. Clearly, the mobile devices market is becoming a market space where you either make it big or go home. HP is leaving now. That begs the question: how will this move reshape the mobile market. Apple is today clearly the player to beat. Until this week, I thought that Google was the a number 2 (or even number 1) but their acquisition of Motorola announced earlier this week has potentially put Android on a new trajectory and I see plenty of challenges ahead. But today, Google is certainly one of the top 2 vendors in the mobile market place. The position number 3 is heavily contested. Microsoft wants it really bad and they have made a lot of good moves so far. Their deal with Nokia was received somewhat skeptically at first, but it makes much more sense since the Google/Motorola deal. Microsoft now stands a good chance to take over the spot number 3 and perhaps even number 2 in the foreseeable future, particularly should Google mess up with Motorola. The position number 3 is currently occupied by RIM and RIM appears to be under a lot of pressure now. RIM has missed its numbers in the June earnings announcement and has been losing market share at an alarming pace recently. Yet, RIM and its BlackBerry franchise do have an impressive installed base and an access to the enterprise market that other vendors envy. That makes RIM a likely target and there is plenty of possible suitors about. So where does that leave HP? Well, they may decide not to participate in the mobility games any longer just like their big rivals IBM and Oracle. HP's new strategy appears to be following IBM's example by divesting the PC business (which was also announced today) and focusing on "higher margin growth categories". Both were acquisitions, by the way - remember Compaq (2002) and EDS (2008)? 1. Embrace Android which would make them a Google partner. That's less likely now as Google's Android strategy is at crossroads and since HP also announced the acquisition of Autonomy today which puts it on a collision course with Google in the enterprise search space. 2. Go with Windows Phone which would continue HPs long standing partnership with Microsoft. This is quite a feasible scenario but HP appears to be wanting to get out of the hardware business today. By the way, how ironic is it that while HP is getting out, Google - the ultimate Internet company - is getting into the hardware business by acquiring Motorola? 3. Acquire RIM which would fit HP's focus on the enterprise market. As I said above, RIM is likely to be in play soon and HP could indeed be one of the suitors. HP would probably not shy away from the high price tag of $15-20 bln or more - they have spent big money like that in the past. And the RIM acquisition by HP appears less problematic than by Microsoft, Google, or some of the fence-setters such as IBM, Oracle or Cisco. In the end, I dare to predict that HP will stay out of the mobile devices market. If they want to be more like IBM, they are better served by focusing on services and remaining hardware agnostic. Too bad about Palm, though, as that was a good piece of technology. 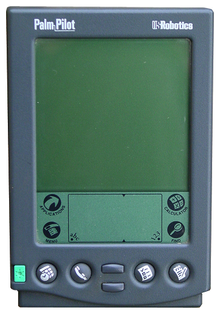 I still remember when US Robotics shipped the first Palm Pilot back in 1996 - the first successful personal digital assistant (PDA) which is how we called smartphones before they had the 'phone' feature. Well, an era has come to an end. After the demise of Nokia's Symbian, there is yet again one less contender in the mobile race. It is a four-horse race now with Apple, Google, Microsoft and RIM and there are only three (or less) spots left! It's a shame that webOS has been killed off, it wasn't all that bad, just too late to enter the market. I don't think HP would buy RIM now that they have effectively left the hardware manufacturing business. It is interesting to see the huge popularity of BlackBerry devices with young people in the UK, all thanks to BlackBerry Messenger. Many people have already written off RIM, but they may have spoken to soon. But who knows, with the failure of RIM Playbook, QNX may be replaced by Android or Windows Mobile. Now that would be interesting! Thanks for your comment, Werner. Indeed, RIM has some decisions to make and it will be very interesting to watch. Motorola was in deep trouble five years ago when Google came calling. Rim has been complacent with their "secret lab" and "skunk works" mentality and has focused too much on high-end encryption and security to serve the consumer market. For RIM to survive on its own it needs to bed down with an internet security firm and really own the classified communications space in government, corporations and defense. And as you point out that may not be enough with room for only win, place and show trophies when the music stops.